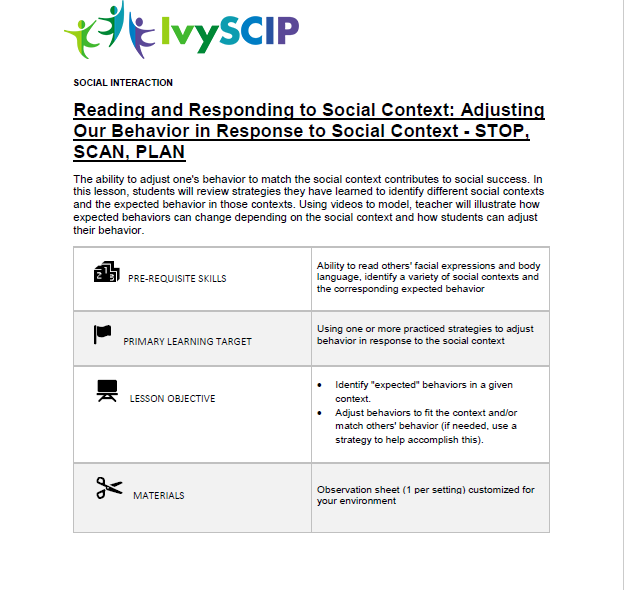 IvySCIP offers comprehensive support for teachers and related service professionals providing social and emotional learning (SEL) instruction to K-6 students with social cognition challenges (e.g., high functioning autism, ADHD, pragmatic learning disorder, anxiety disorder). 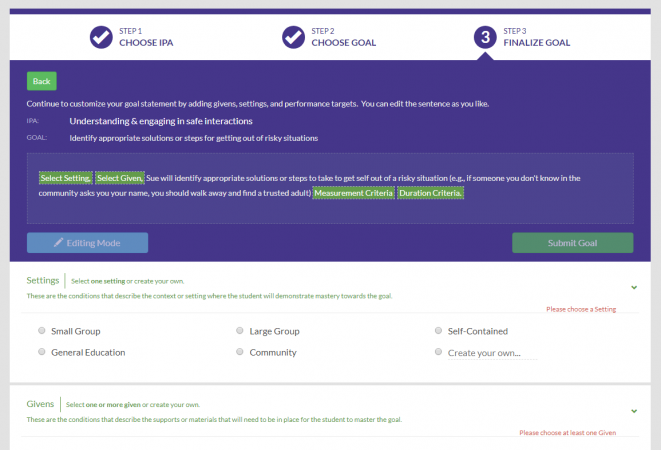 At the heart of IvySCIP is the SEL strengths and needs assessment. 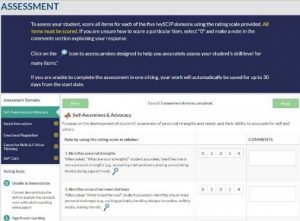 Each license will allow you to assess one student. 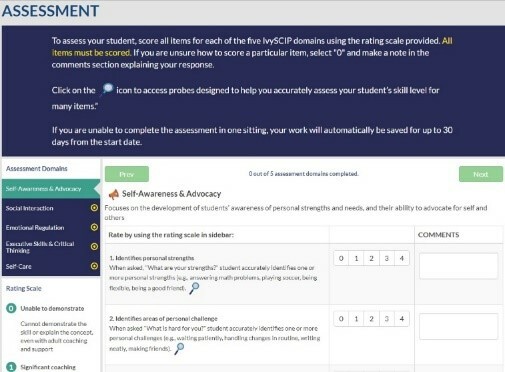 Based on your student’s scores, IvySCIP will help you identify instructional priorities and develop customized IEP goals. 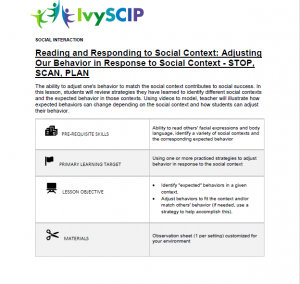 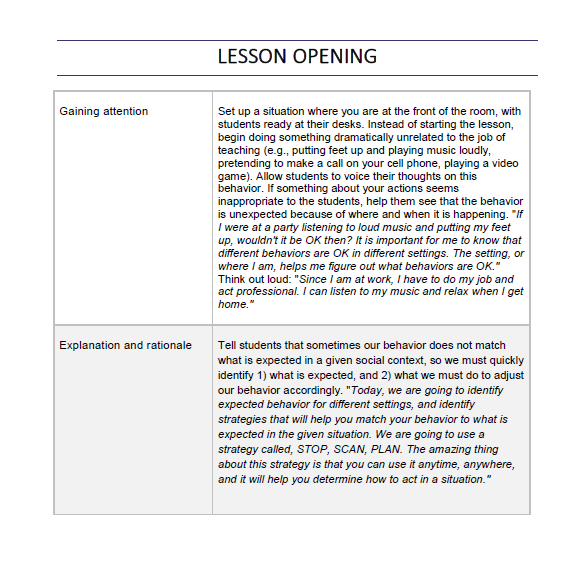 IvySCIP also includes a database of SEL lesson plans and evidence-based instructional strategies. 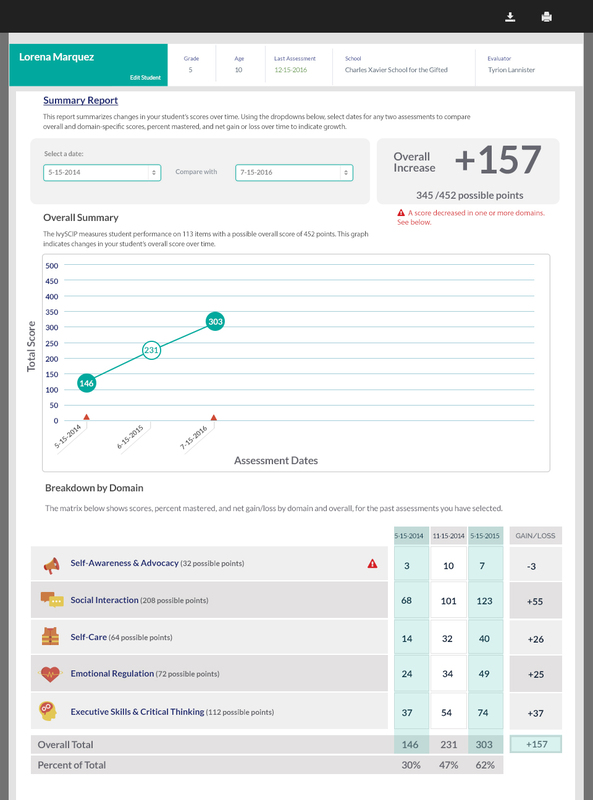 IvySCIP enables regular progress monitoring and offers a variety of easy-to-use reporting options.